A Chicago landlord was ordered to pay a judgement well over $33,000 after making a mistake in the leasing process. The landlord had entered into a rental lease agreement for a posh penthouse apartment, netting $7,500 per month in rent. The tenants paid a security deposit of $11,200. The tenants remained in the apartment for nearly eighteen months before they were faced with an unexpected job loss. They appealed to the landlord to allow them to sublet for the remaining six months of the lease term so they could pursue an employment opportunity out of state. When the landlord refused, the tenant consulted a lawyer for a way out. The tenants moved, leaving behind the $11,200 security deposit. “They were satisfied to just be done with the whole mess,” Silverman adds. But four months later, the tenants were served with a summons to appear in court. The landlord had been advised to ignore the lease termination and sue for the remaining six months’ rent under the lease. Faced with this new development, the tenants re-engaged Silverman’s firm, and counter-sued for return of the deposit, treble damages for the wrongful withholding of the security deposit, attorneys fees and costs. The tenants were successful in court, and were awarded more than $33,000 as allowed by the security deposit statute. In addition, tenants were awarded their attorneys fees and costs to defend the landlord’s suit. The judge held that the failure to include the requisite disclosures at lease signing allowed the tenant to effectively terminate the lease, as Silverman initially argued. This case underscores the importance of using checklists when completing rental forms. Mark Silverman is a Chicago security deposit lawyer with Mark Silverman Law Office, Ltd. When a tenant wants to move, I just let them – lease or not. I don’t want dissatisfied tenants – it’s unpleasant for all concerned and life is too short for that. Generally, they find another renter who meets my qualifications anyway. My tenant gave me a “military order” to terminate the lease earlier. It is hard for me to read the “military order”. How can I verify the “military order”? Thanks. I’m not sure I understand the Security Deposit Interest. Should I make sure all interest gained from their deposit is either returned to them or that it is stipulated they will not get it in their agreement? In your article about the Landlord having to pay their tennant a $33,000 settlement because the “failure to include the requisite disclosures at lease signing”. Please explain what this “Requisite Disclosures” means. 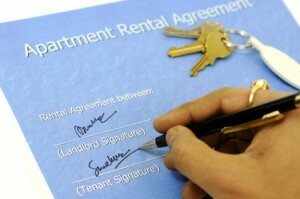 According to the attorney for the tenant, there is a local law, Chicago’s Residential Landlord Tenant Ordinance (http://www.depositlaw.com/080.htm) that requires a receipt and accounting for interest on security deposits. If that document is not provided at the time the deposit is paid, it is grounds for the tenant to terminate the lease, as well as grounds to demand return of the security deposit.